Fear. Every one of us has some form of fear in one way or another. There is a healthy type of fear that can protect us from harm’s way. On the other hand, it can place barriers and obstacles in the way of progress and growth. I believe there are too many who allow the fear of what can happen to stand in the way of what has the ability to happen. 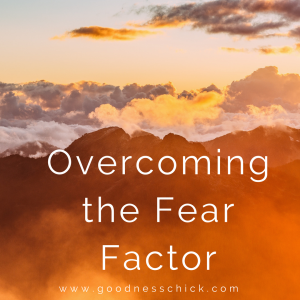 Fear can be a factor that severely alters the quality of life for someone in their teens to someone in their eighties; it’s timeless.There is power in teaching the value of overcoming fear. What drives unhealthy forms of fear? Check your pulse. If you have a pulse and you have breath you are alive. You are right here right now. Every day is a gift; the breath we take is not guaranteed. It is rewiring our mindset that this is enough to drive us forward in doing. Too often, the uncertainty of what could be taints the ability to step forward and DO. How yuck is that? Going forward and refraining from entrapment in a static state is super important. This is easier said than done. rk in the road, am I succumbing to fear or am I overcoming fear? Over the past fifteen years I have spent thousands of hours challenging kids to put words into actions and to face fear in the face. How could I then, back down from my own fear? I’d be a super lame hypocrite. What I will say is checking off one more ‘to do’ on my bucket list is empowering. It wasn’t easy, but the truth is that which holds greatest reward and opportunity for growth is not typically easy. You are going to fail at some point. We all do. It isn’t about how many times you fail or fall, it’s about whether you decide to get back up again. When we succumb to fear there is the tendency to live in the past. Fear can often propagate angst and anger; two unnecessary accessories in life. If you think you can’t do it, well, you can’t. Peeps: Do you currently surround yourself academically, professionally, socially, etc. with those who shirk from fears or those who face them? Think about that one for a second. Fear facers are typically positive, sharp and focus on forward not neutral or reverse. Who we invest our time with is critical; it impacts us in more ways than we often realize. Hang with doubters and those with a high fear factor and your status will be likewise. Goals: Write down your top five fears that you are willing to look at and ultimately tackle. Take one at a time, but have a time line. If thoughts and goals are limited to our mind they will just circulate and go no further. Get uncomfortable: Whether it be weekly or monthly do something that is out of your comfort zone. This is a great way to lay the groundwork in facing something that’s you are not accustomed to. Overcoming fear of even the smallest of things is a step forward. Today is a new day. Maintaining an existence that is blocked and stunted by fear is a bummer. Choose to go forward. When we opt to go forward and overcome fears that hold us back life becomes well, more alive. As you rock out your week know that even one small step is a step; give yourself credit. Wishing you a blessed and fulfilling week of fortitude, a positive outlook and reflection. Peace, Love & Goodness!